CakeThat for Christmas - CakeThat! Hi! I'm Laura. My business CakeThat creates occasion cakes all year round for celebrations of all kinds. When Christmas comes around, I'm especially busy — so I've set up a seasonal online shop to help my regular and new customers plan ahead in good time. My yummy cakes, puddings and cupcakes come gift-wrapped and make ideal presents for friends and relations. 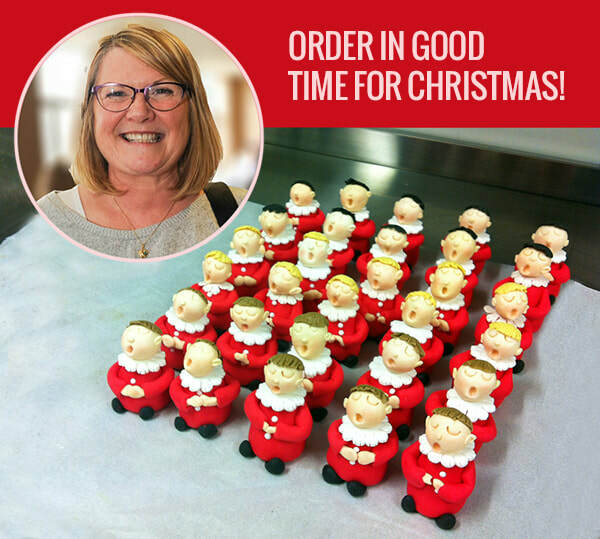 So if you would like a Christmas cake like Mum used to make — or a pudding or two — please have a browse and order in good time. Welcome to my online shop!